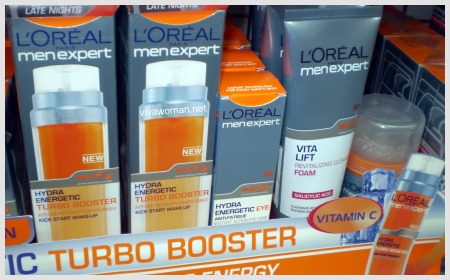 Why do you need to shake products well before use? 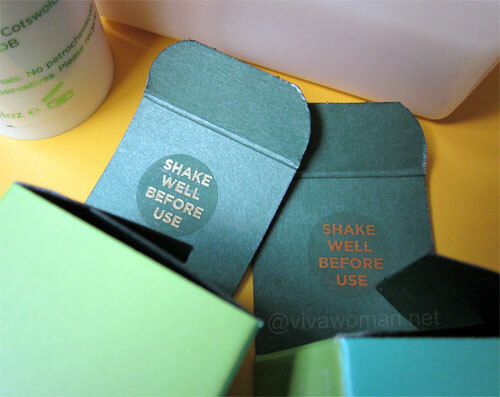 Hey ladies, do you have at least one item in your skin care stash with this instruction – shake well before use? Have you ever wondered why you need to follow the instruction and is it something that annoys you? Well, I have in my skin care stash, a number of products requiring me to “shake well before use” and these include sunscreens, skin lotions, and even eye creams. I have to admit that the instruction sort of annoys me slightly, especially if the product is housed in a smallish container that doesn’t exactly give much room for shaking…if you know what I’m talking about. 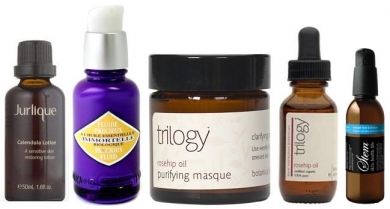 The reason why you need to give some of these products a good shake prior to use is really because the majority of skin care products contain both oil and water soluble ingredients, and the problem with such emulsions is that they separate easily. Products that need not be shaken before use typically use emulsifiers or binders that act to bond the water and oil together such as glyceryl stearate, polysorbates, stearic acid, butylene glycol, PEG, triethanolamine, palmitates, ceteareth 20, beewax, and cetyl achohol. As some of you may have noticed, some of these ingredients aren’t all that desirable and so products in the natural/organic category tend to avoid them. Because of this reason, many of the skin care products require us to shake well before use. Most sunscreens also require users to shake well before use so that all the particles within the sunscreen are distributed evenly in the container instead of getting settled in the bottom of the bottle. Other products include some liquid foundation, because the pigments can settle to the bottom of the bottle, which will result in an uneven finish. You can say that these skin care products behave like some food products – upon standing for any period of time, will separate because of some ingredients can’t stay suspended for longer periods of time due to them being dense or heavy. My pet peeves when it comes to this instruction is that some formulations still don’t get mixed too well even with a good shaking and another is, I often forget to shake. As a result, the product sometimes do not perform as optimally as it should be. I’ve even tried to turn some bottles upside down just so to minimize the shaking but the outcome hasn’t been that ideal. I really think some of these products that are housed in airless pump bottle and require us to shake prior to use should come with a small stainless steel ball bearing inside the bottle, which will help to keep the lotion or serum consistent. Plus, the clacking noise in the bottle will remind us to remember to shake before use! Shake It Up With Dosirak Yummy Korean Bibimbap Takeaway How To Keep Cosmetic Products Almost As Good As New Glass for natural skincare products Can we use men’s skin care products? I made my own DIY epsom salt lotion (as a way of supplementing with magnesium sulfate)…and also to relieve dry skin… the ingredients is made up of salt, oil and water… which I mixed using a blender (the same way you would make mayoinnase)… however, after a few days, the ingredients.. separated just like what you said.. shaking well cannot even get it back to its lotion constitency.. so I have to warm it up..a bit, then blenderize it again… this got me thinking… oil and water can only be mixed in the presence of emulsifiers like alcohol.. this is probably the reason why some commercial lotions makes our skin drier..
next time, I am going to make my DIY epsom salt lotion in smaller batches.. Anyway, regarding the post — I agree with you, Sesame! How I wish they include a tiny ball inside the bottle. I like the shakety-shake clunk it makes, haha. Probably, for formulations that are sensitive to metals, they could use a ceramic ball or a metal ball covered with plastic. EcoBeauty last post is: Review: Paul Penders AM & PM Moisturizers and Toner — Going back to basics! @EcoBeauty: The sound can help us remember to shake too! I often forget! @Lanie: Oh interesting how you make your salt lotion but to give it a consistency, you definitely need an emulsifier. I guess this is why you see a lot of natural products containing cetyl alchohol for that purpose and it’s usually quite high end in the list too. I like to use Japanese sunscreens that always require shaking. But those tend to have ball bearings so I like to shake them. hahaha, I just like the sound of it all. Otherwise, yes, I do agree that it can get rather irritating to shake. It seems most sunscreens, especially the lotion type, need shaking. Some cream based sunscreen are too thick to shake and they do separate easily too. And I also like to shake those with the ball bearings! I don’t find glycerin a good emulsifier when it comes to oil or maybe the quantity needs to be high cos I’ve used it in some of my mixture and they still separate. We need to shake some products before using it. It is clearly labeled on the product. So, I think we should follow it. Its because some elements remains at the bottom which might be good for our health, if an oil/sunscreen container is there for a long time without any touch or movement, then many elements remains at the bottom. So, simple shake can mix all things up. I don’t mind if it’s a mere shaking but some products still separate despite the shaking. @ sesame and vivi… you are right.. no matter how you shake for hours or overnight (and find it as an excuse to exercise).. the ingredietns on my diy lotion still separates… the only way I can mix them up is to warm (using a double broiler) and then blenderize… very time consuming.. I also often forget to shake!!! Kind of annoying isn’t it. Makes me feel like if I should wipe off whatever I’ve applied and re-apply again after shaking. Ahh I know that, too 😀 I have one suncreen which has a very fluid consistency and if you don’t shake it, you only get the oil part of the product. But I don’t mind shaking at all, esxpecially when that means that there are possibly less undesirable emulsifiers in the ingredient lists then. If the product gets mixed well while shaking, I don’t mind as long as I can remember. But not those that requires shaking but still don’t mix well.